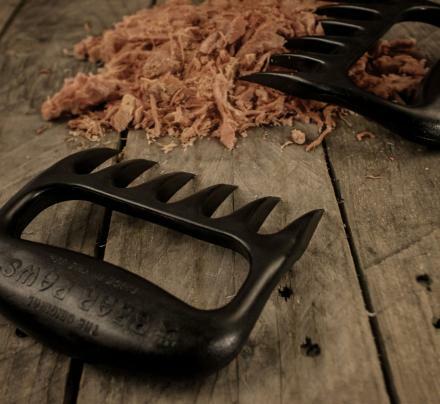 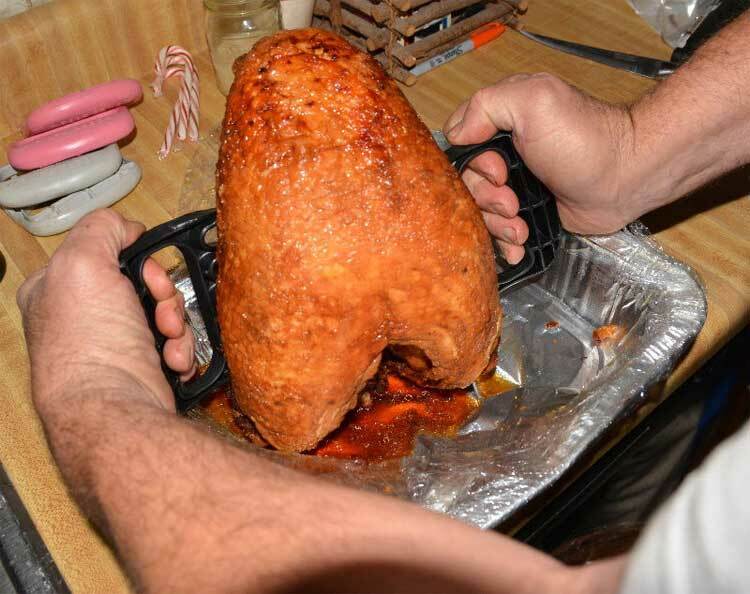 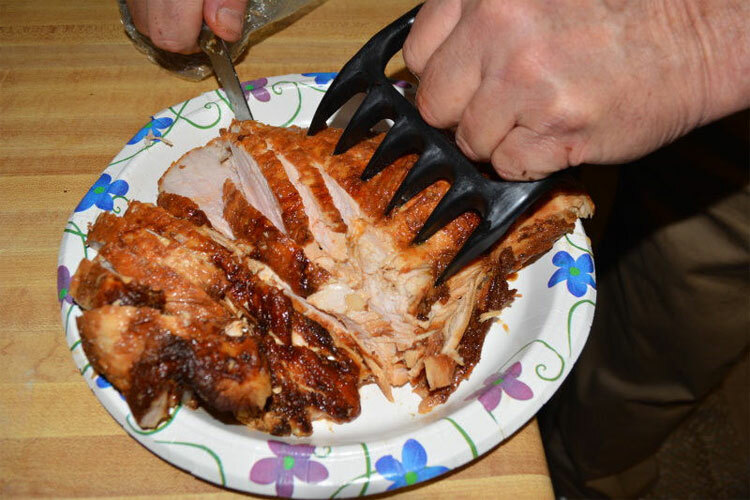 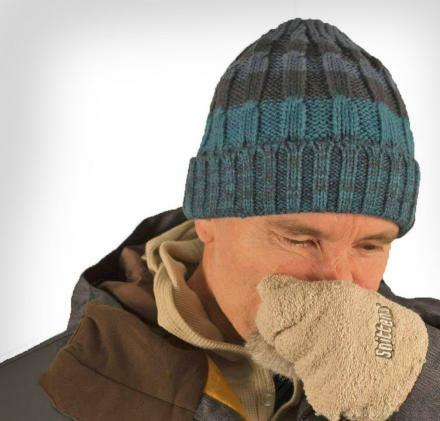 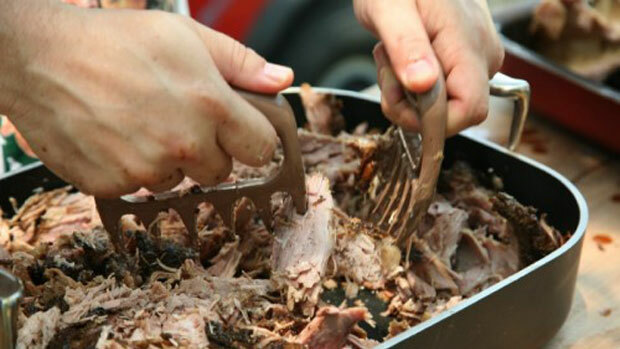 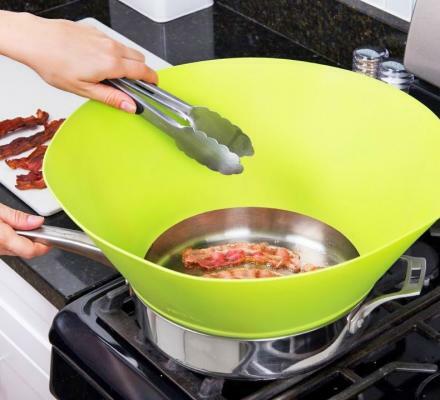 Whether you need to tear apart some pork to make pulled pork sandwiches, carry a turkey across a room without dirtying or burning your hands, or you just need to claw away at the dead body that's been laying in your bathtub for a few weeks, the bear paw meat handler forks should do the trick. 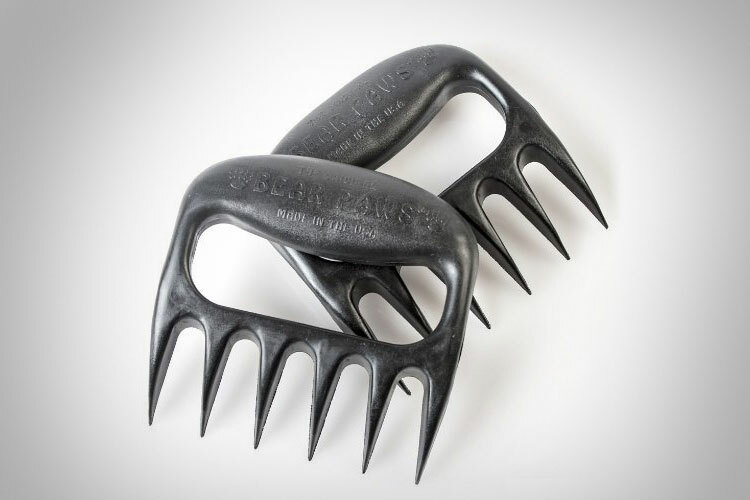 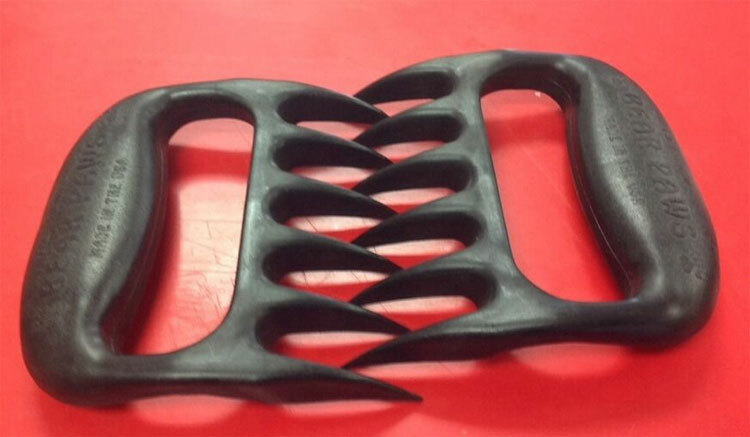 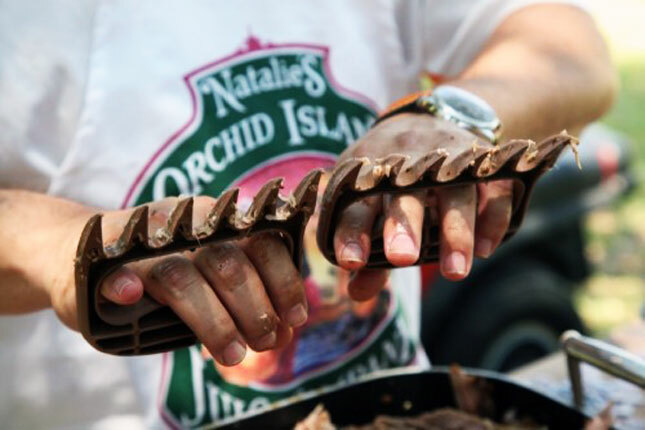 The Bear Paw Forks are giant forks that look just like a bear claw that you can use to handle your meat, and are great to use with messy barbeque meat. 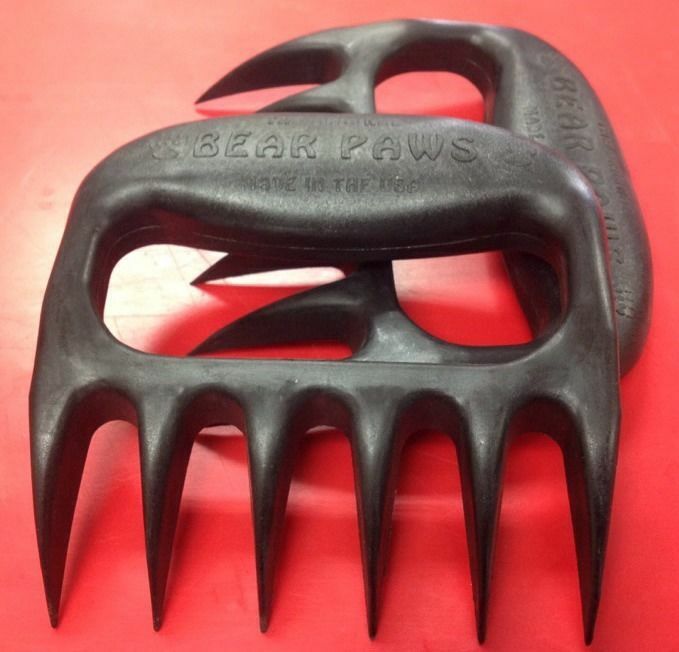 The Bear Paw Barbeque Forks are made from FDA approved nylon with a heat resistant design, come in a set of two, and come in a few different colors to choose from.